Dalton Shepler re-wrote the Warrior Relays pole vault record book. Dalton Shepler entered the Wayne Warrior Relays as the heavy favorite to win the pole vault competition and if things were to go well, a new meet record seemed like it would also be well within his grasp. 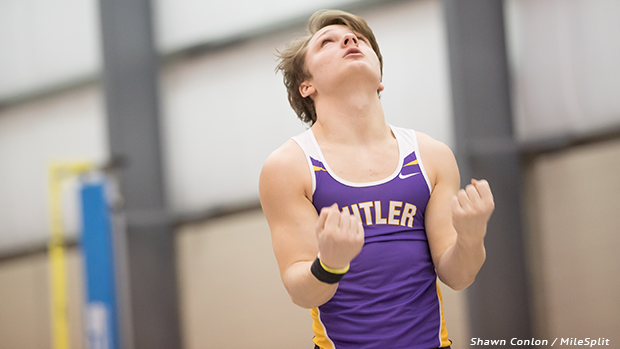 The junior from Vandalia-Butler ended up accomplishing both tasks and then some. His 16-7 winning vault shattered the previous best all-time meet result of 15-6, held by Wayne's Tommy Marks from the 2008 season. Additionally, Shepler's latest performance stands as an Ohio #1 (usurping the 16-4 OH #1 that he owned prior to yesterday), a US #5 and a new pr. The Division 1 Indoor State Champion took three impressive attempts at 17 feet.